How do I find my unique parent code? 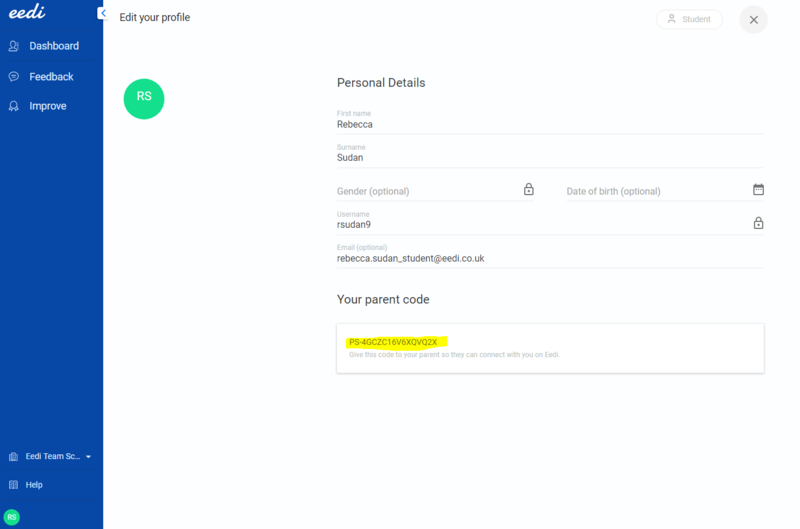 Linking a parent account with a student account. 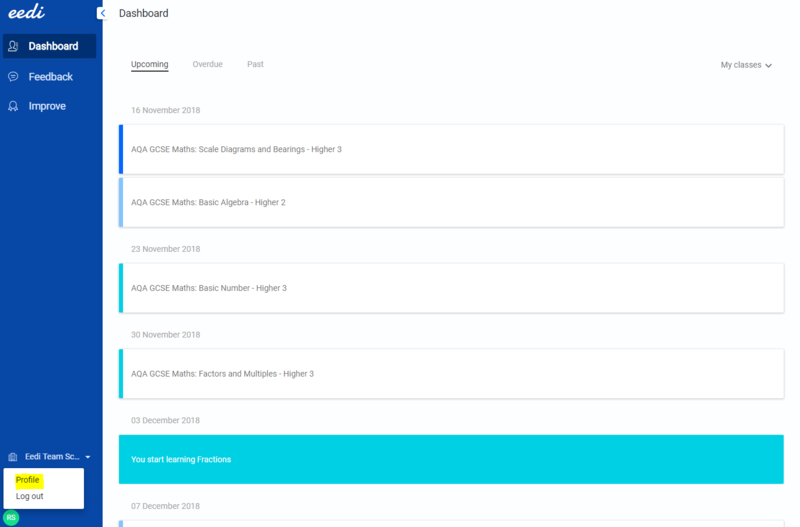 To use Eedi to start receiving information on your child's progress at school, you first need to create a parent account. Follow the steps in the video and the instructions below to locate your unique parent code and create a parent account. Log in to your child's account here. Click onto your child's initials (bottom left) & then into 'Profile'. 3. Here you will be able to view the unique parent code. 4. Copy this number or write it down. 5. Log out of your child's account. 6. When you have logged out, Click 'Sign-up' in the top-right corner or click here. 7. Select 'Parent' and then 'Get Started'. 8. Paste or enter the unique parent code on this screen and select 'Get Started'. 9. Enter your details and select 'Sign-up'.